Instagram used to be made up of only square blocks, and the game was equal for everyone. Since then Instagram have changed this, and you can now post portrait and landscape photos; but is one better than the other? In most cases, yes. We will first take a look at why, and then how you can make the most of it. Why worry about real estate? In a world where we are constantly bombarded with images, new content, advertisements, and more, how will you begin to stand out? There are no guarantees, therefore we are all looking for small things that we can do to improve our organic Instagram engagement and following. Unfortunately there is no magic formula for fast growth, but there are steps that we can take to keep improving our content. 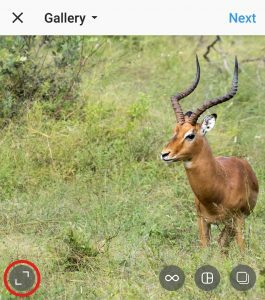 We personally aim to use the portrait orientation as much as possible on Instagram. This gets you to be the only post on your screen at that moment, no distractions, no other posts, comments, or users; it is just your image and the user for that brief moment. It is one small step that you can take to begin maximising your views, and potentially your engagement. Note how this is the exact same picture, but the one on the right takes up considerably more space than the one on the left. Your viewer is solely focussed on that one image for that moment. Whenever the photograph visually allows it, it is better to go bigger, and take up that extra space to capture the users attention. First, if you are using a photo cropping tool, you want to crop for a 5:4 orientation, rather than a 3:2. Currently Instagram portrait shots are made to fit a 5:4 orientation. Using a 3:2 crop will not spell disaster, you will just crop it in Instagram when posting your photograph. 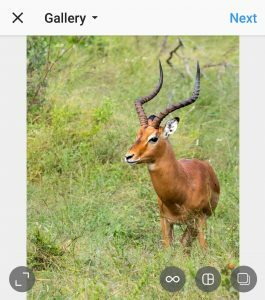 If you are using Lightroom, you can simply select 4:5, and hit “X” to turn it from landscape to portrait, and then crop as you normally would. Crop your image to preferably 5:4 before bringing into Instagram (any portrait orientation will do though) NOTE: you cannot crop an image to portrait in Instagram. Click the button in the bottom left (circled in red). Now just post as you normally would. Add an attractive caption and description, and don’t forget the hashtags! 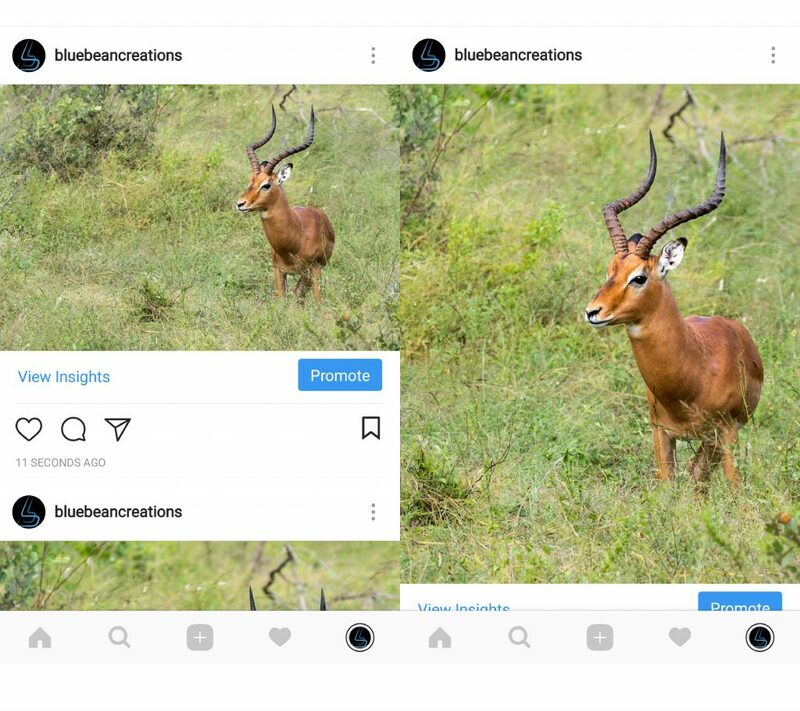 Note how by simply cropping the photo beforehand (or shooting in portrait orientation) you are able to capture that little bit of extra attention to grow your following as well as your engagement. Not all photos are suited for portrait orientation however, and this is only recommended when the image still looks good. A good landscape image will still get more attention than a bad portrait (or square) image. So keep the quality at its highest at all times. Always go for more real estate where possible, but never at the expense of good visual appeal. This small and simple step allows your photo to be the front and centre of your Instagram audience, even if it is just for that moment.